You could be receiving cash down payment gifts for the purchase of your next home. This is becoming more and more common among U.S. homebuyers. Gifts for down payment sometimes come from parents, grandparents, siblings, or children. They sometimes come from spouses, too. Mortgage lenders allow cash gifts for down payment on a huge array of loan programs including FHA loans, VA loans, USDA loans, conventional loans, and jumbo loans, too. However, if you’re getting a cash gift for down payment, you’ll want to make sure that you “receive” your cash gift properly. There’s a specific way to receive money for a down payment. Should you receive your gift improperly, your lender is likely to reject your home loan application. It’s imperative that you follow the rules of cash gifting for a home. You should also double-check that your mortgage lender allows it. It’s common for today’s U.S. buyers to receive cash down payment gifts. First-time homebuyers are most likely to receive a cash gift among all buyer types, but repeat and move-up buyers receive them, too. The largest driver for today’s gifts of equity is the want of U.S. buyers to make a 20% down payment. With a 20% down payment, home buyers can often qualify for the lowest mortgage rates offered by their bank; and with 20% down, there is no accompanying private mortgage insurance (PMI). Furthermore, with 20% down, buyers can seek loans backed by Fannie Mae and Freddie Mac which, over thirty years, may be cheaper than using an FHA loan. 2015 conforming loan limits cap at $417,000 nationwide except within designated “high-cost areas” where home prices exceed the national average by some multiple. High-cost areas are determined by the government and include such cities as San Francisco and Los Angeles, California; Washington, D.C. and its surrounding counties (Montgomery, Fairfax and Loudoun); as well as New York City and San Diego. In high-cost areas, conventional loans are capped at $625,500 for single-family homes, and multi-unit homes (i.e. 2-unit, 3-unit, 4-unit) can range to $1,202,925. Not everyone receiving a cash gifts want to make a 20% down payment, though. Cash gifts are also allowed for low-down payment mortgages including the FHA purchase mortgage, which requires a 3.5% down payment; and the Conventional 97 mortgage from Fannie Mae and Freddie Mac which requires just 3% down. 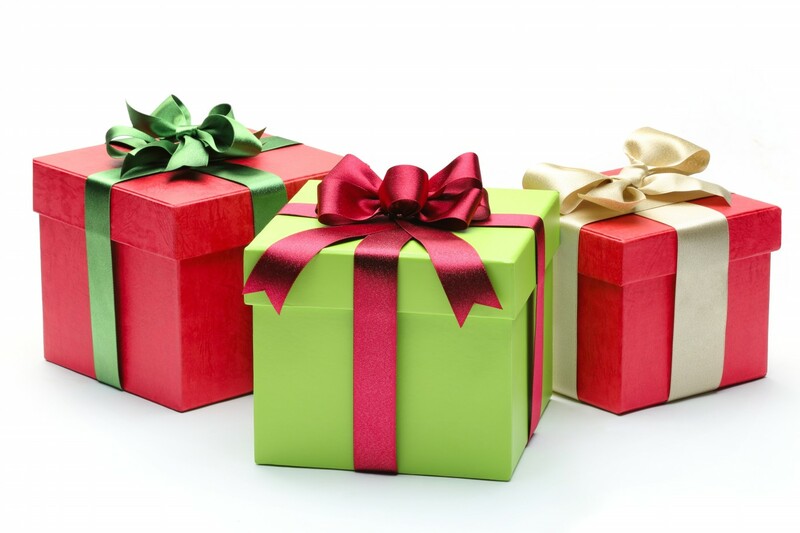 Excess gift monies can be used for furnishing a home; making repairs; or the establishment of an emergency fund. When you accept a down payment gift, remember that there’s a right way and a wrong way to do it. For example, you cannot randomly deposit your cash gift into a bank account. Doing so will get your loan denied. There’s a 3-step process when accepting a cash down payment gift and no matter what your loan type: Conventional, FHA, VA, or other, the 3-step process is the same. Follow the rules to the letter. First, write a gift letter that follows the includes the following information: the amount of the gift, the subject property address, the relationship of the gifter to the giftee, a note that the gift is actually a gift and not a loan and will not be repaid. The gift letter should be only as long as needed and should not contain “extra” information. Have all parties sign and date the letter. Set the letter aside as you’ll come back to it in the section below. With your mortgage down payment gift letter written, you’ll want to make sure you don’t violate the rules of “taking a gift”. In order to do that, make sure to keep an extra-strong paper trail for the money being gifted. If you are the person who is gifting funds to the buyer, for example, and you sell your personal stock holding as part of the down payment gift process, you will want to make sure that you document the sale of your stock as well as the transfer of funds from your brokerage account into the account from which you’re making the gift. Do not make the transfer without a proper paper trail. Next, you’ll want to write a check to the homebuyer for the exact dollar amount specified in the gift letter you’ve written. Photocopy the check. Keep one copy for your records and give one copy to the buyer, because the lender will want to see it as part of the process. Now that the gifter has handed, in the form of a check, a down payment gift to the buyer, the following steps are required. First, with the gift check in hand, the buyer should physically walk into a preferred depository bank to make the deposit in-person. Do not deposit the check online using an iPhone or Android app; or at an ATM machine. In addition, into whichever bank account you deposit your gift money, make sure it’s the same bank account from which all of your money at closing will be drawn. You do not want to bring money to closing from multiple savings accounts. This, too, can make things difficult on a bank and the goal is to keep things simple. When you get to your branch, do the following: deposit the gift funds into a bank account, end your transaction, and collect a receipt for your deposit. Under no circumstances whatsoever should you “co-mingle” your gift deposit with other monies, nor with other gifts. The amount specified on your teller receipt should match exactly the dollar amount on the certified down payment gift letter. If the amount is off by even a penny, the lender will likely reject your letter and the funds that came with it. Note that if you are receiving multiple cash gifts for down payment, you should follow this process for each gift independently. Again, do not co-mingle your gifts. Be guided by your gift letter. Mortgage rates are near their lowest point in history. Homes are affordable and lenders have simplified the process of getting approved for a low- and no-down payment mortgages. If you are in the Tampa Bay and surrounding areas in Florida, contact NSH Mortgage.